As leading producer of high value concrete pavers in CEE, we consider ourselves a designer of sophisticated outdoor living spaces. 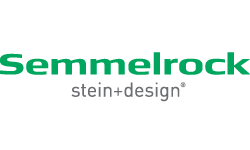 Semmelrock has a modern industrial basis and a highly efficient production and distribution network across Central Europe. The Group operates 17 plants in 8 countries as well as sales organizations in 3 export markets and has in total around 1.000 skilled employees.